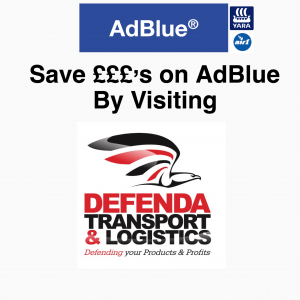 Buy cheap YARA AIR1 AdBlue directly from us at Defenda Transport & Logistics in Exhall, nr. Coventry. YARA Air 1 AdBlue — Prices from just 50 pence per litre excluding vat. You can visit and buy AdBlue at just 50p a litre between 9am and 5pm Monday to Friday (excluding Bank Holidays). Customers from Coventry, Nuneaton, Bedworth, Exhall, Leamington, Rugby and Warwick can benefit from huge discounts by visiting our distribution centre in Exhall.